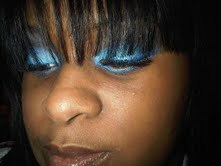 I decided to use some blues from my Coastal Scents 88 Palette and my Loreal HIP Chrome liner 925 in Blue Spark. I love the way it came out. 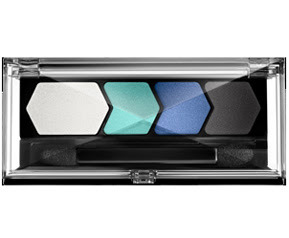 I still will get the Maybelline Eye Studio though because sometimes like with these pictures Coastal Scents aren't very pigmented unless you "pack" it on. My favorite color EVER! Love the look! Those colors look really nice on you! Good job!